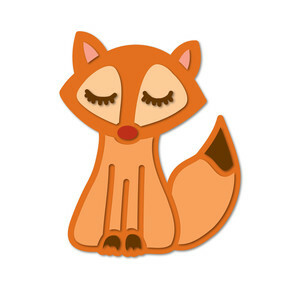 Be clever as a fox and use charming Fiona on your projects. She has a pal named Frederick, which you can see in the coordinating Frederick and Fiona stamp set https://www.techniquetuesday.com/frederick-fiona-stamp-set.html. The two of them love to frolic with their other friends in the Animal House collection https://www.techniquetuesday.com/animal-house-stamps-dies.html.